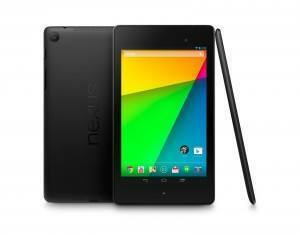 There are two oficial ways to reset Android on Google Nexus 7, version 2013. Any of those ways will ensure that your Android Tablet will go back to it’s factory settings. They only differentiate from each other in the steps you have to execute for each of them. You will decide which one to use depending on the status of your Google Nexus 7. If you have full access to it’s menues, you will use the method that uses software to reset Android on your tablet. If, on the other hand, you do not have access to your Google Nexus 7, for instance if you forgot your lock pattern, you will have to use the method that uses hardware to go through with the steps. Independently of the method you will use, make sure the battery of your Google Nexus is charged at least at 70%, so that your device does not power off during the procedure. If your tablet is password or PIN protected, you will be asked to enter it at this point. Touch “Erase Everything” to completely clean your Google Nexus 7 device. Your device will reset itself and by the time it goes back on it will be as out of the box. Press the Power button to select “Recovery mode“. At this point a red Android robot will show up on your screen. Use the Volume Buttons to move up and down the menu to “Wipe data/Factory Reset” and use the Power button to select the option. Use the Volume Buttons to scroll down to “Yes – erase all user data” and select the option with the Power button. If at any point your tablet becomes unresponsive, you can restart it by holding down the power button for a few seconds. You’re done! You have now reset Android on your Google Nexus 7 tablet!